The River Teme is one of England’s finest lowland rivers. It rises near Newtown in Wales, meanders through Shropshire and Worcestershire before joining the mighty River Severn just below Worcester. It is a Site of Special Scientific Interest for its entire length. Despite its size, however, sections of its upper reaches are prone to drying out during periods of dry weather. This is a fairly frequent occurrence, happening, on average, around once every three years. 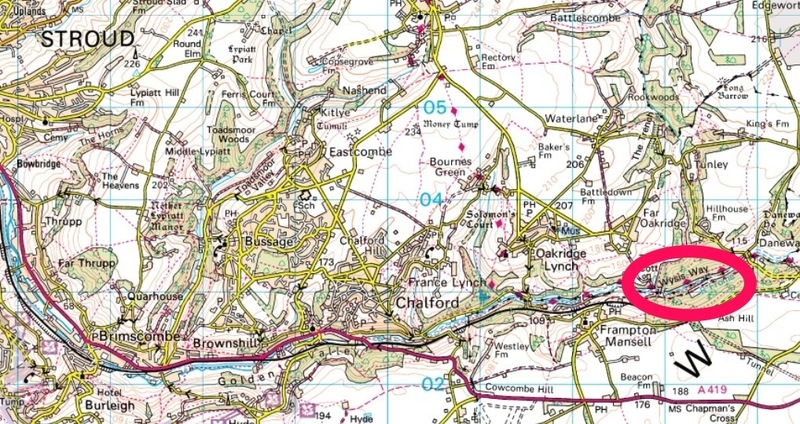 The stretch most at risk is from Knighton to the confluence with the River Clun at Leintwardine. Drying out happens very quickly with low flows changing to a completely dry river bed within a day or two. 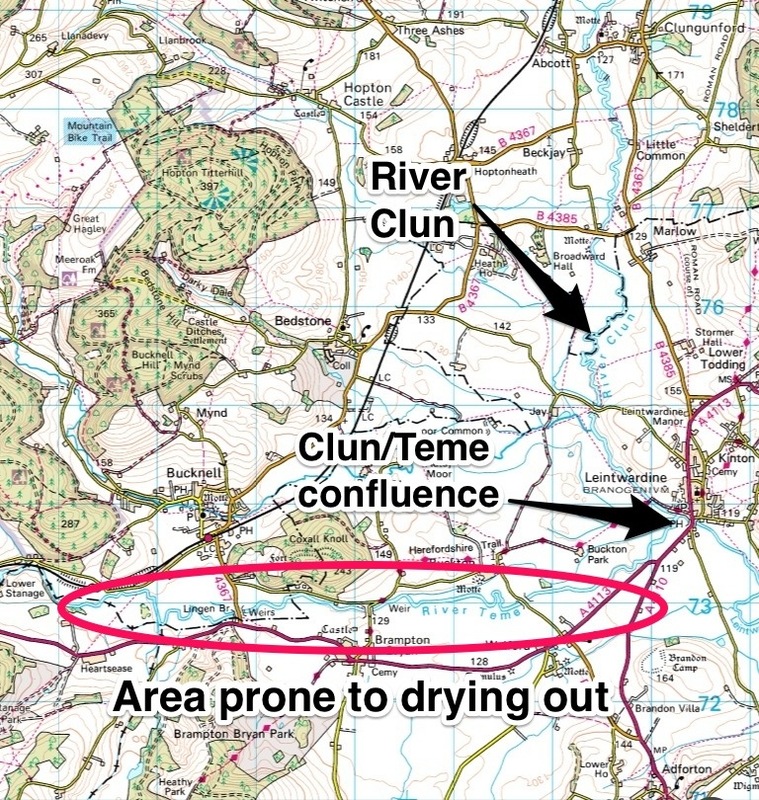 Because the upper parts of the Teme rely on catchment runoff (rather than groundwater) for its flow, an extended period of dry weather quickly translates into low flows and then drying out. That is what has happened this year. 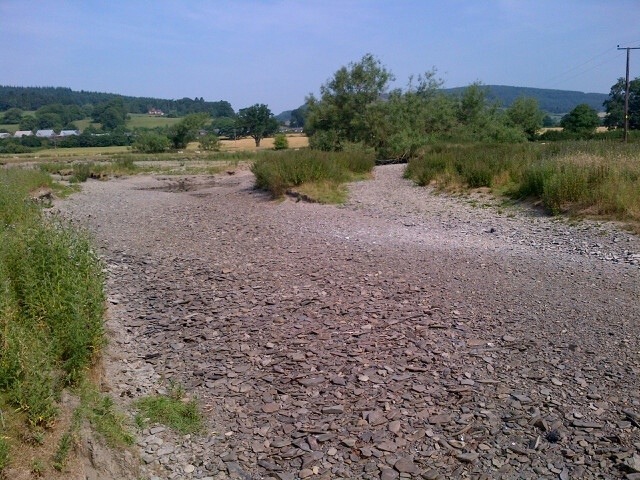 The record-wet year of 2012 topped up our reservoirs and groundwater reserves very nicely but the lack of rainfall runoff for the last month (combined with high temperatures and evaporation) has resulted in the upper Teme (and other similar rivers) starting to dry out. 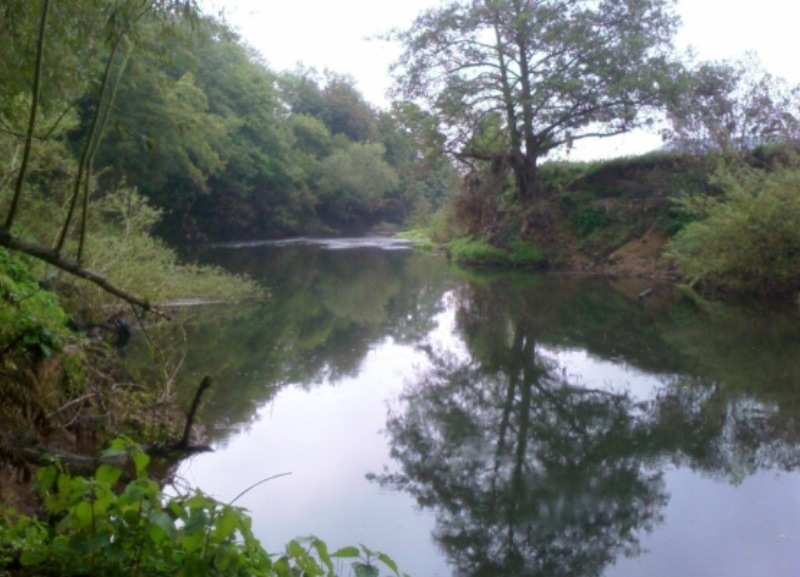 The Teme is an excellent fishery and is home to a wide range of game and coarse fish. It is very popular with anglers who travel great distances to sample its challenges. The upper Teme is an especially valuable spawning ground for salmon and trout. 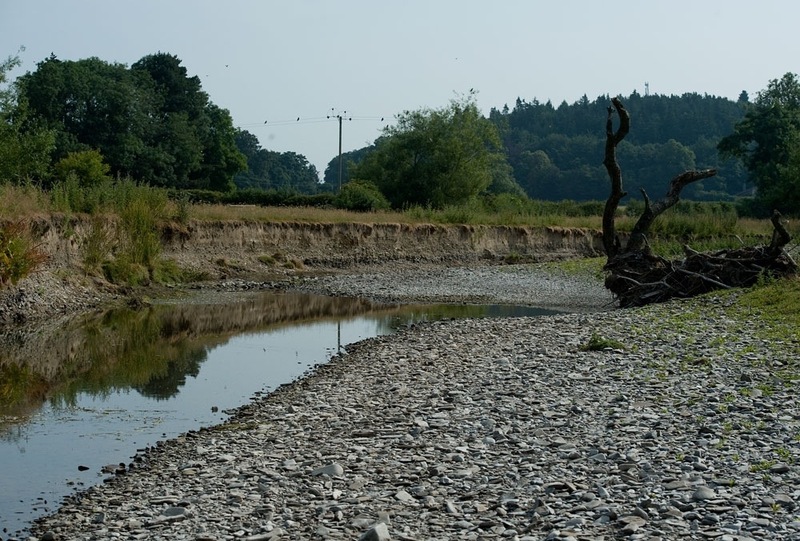 You may have thought that a drying river wouldn’t cause too many issues as the fish (being sensible creatures) would just move downstream as things dried out. The problem is that as the flows reduce , large, deep pools of water get cut off as the main river bed becomes dry. The fish tend to seek these pools out as they are deeper and cooler and tend to contain cover (weeds and fallen trees). The sun then gets to work on these pools, warming them quickly and oxygen levels in the water fall quickly. Obviously, in time, the pools themselves will dry out. 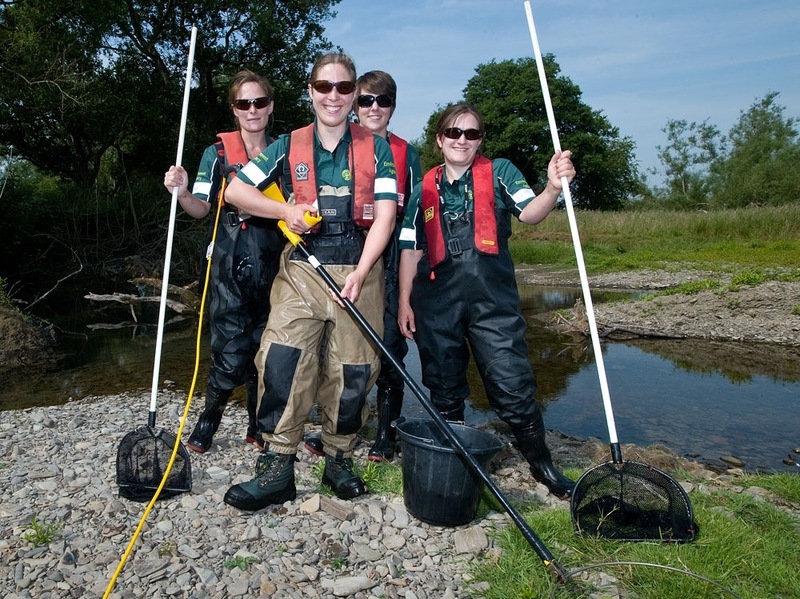 We monitor high risk river areas like the upper Teme on a regular basis during dry weather. Our fishery officers have years of experience of where and when to look. Once we know fish are becoming stranded and rescue is possible we scramble our rescue teams from Shrewsbury, Kidderminster and Tewkesbury (depending who’s closest). 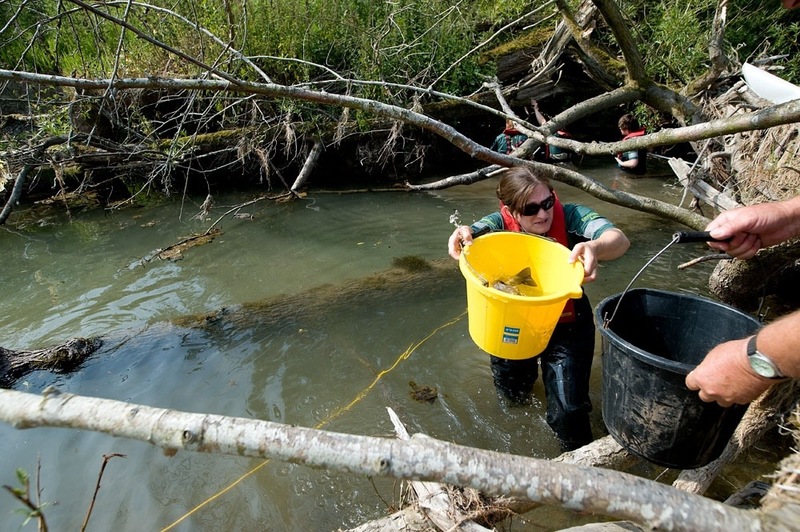 We use electrofishing to catch the fish in the pools. A small electric current is passed through the water which is sufficient to momentarily stun fish. There is quite an art in knowing where to look for the fish and how to efficiently get the optimum charge to the right spot! Members of the rescue team scoop them up in nets as they come to the surface and put them into buckets of water. 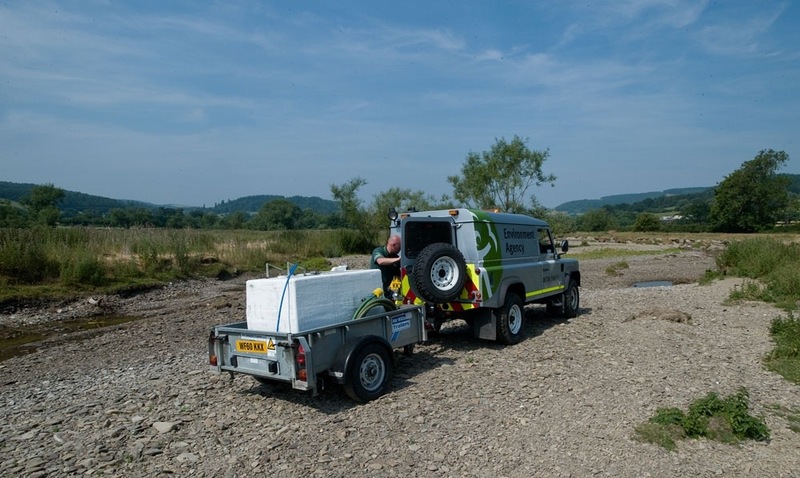 The fish are then transferred to a large aerated tank of water towed by a landrover. This keeps them safe and happy until the rescue is complete. 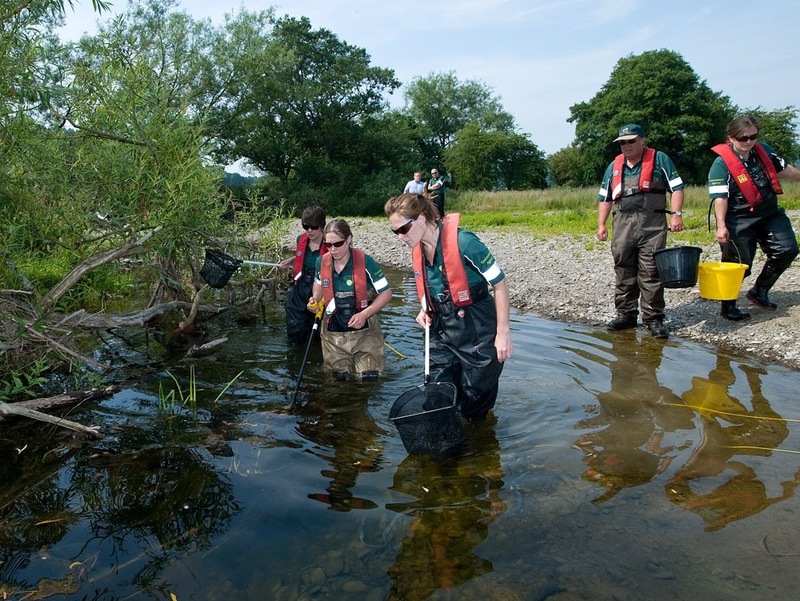 They are then taken downstream to a location where flows will be maintained and released. During the morning of 18th July we rescued around a hundred large fish from a dozen or so pools. Sadly the small fish and fry cannot be rescued. Some beautiful brown trout were saved as well as salmon parr, stone loach and bullheads. 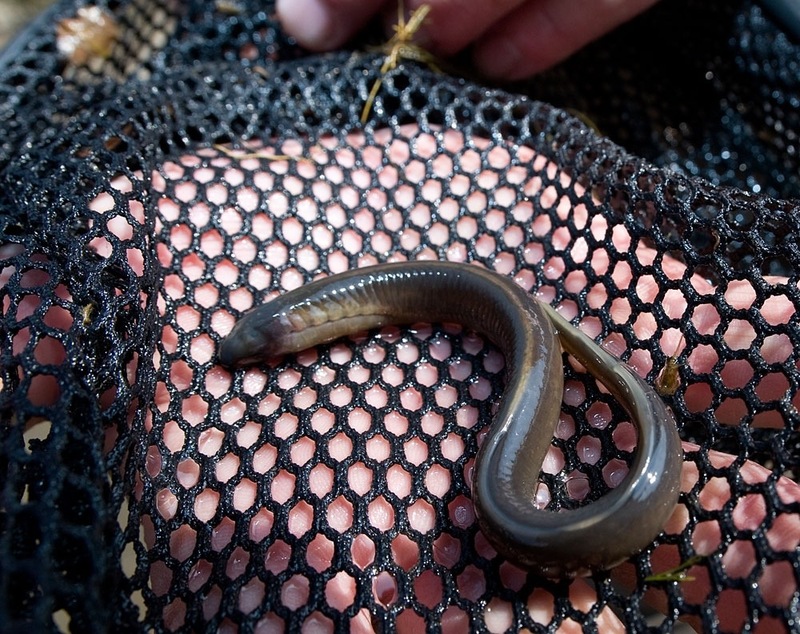 In addition we scooped up lots of brook lamprey and returned them to a safer place. Work like this is made possible by the money we receive from rod licence sales. 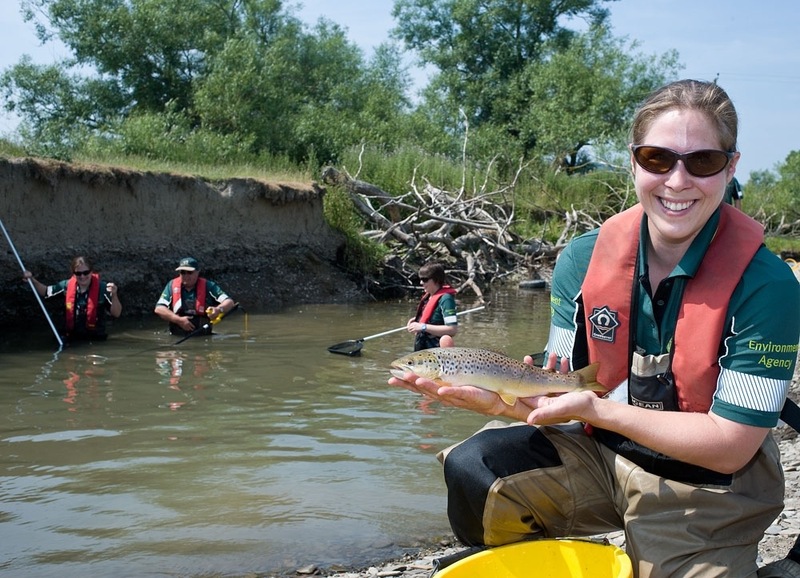 We hope that anglers agree that it is important work in safeguarding the natural fish stocks in our rivers. 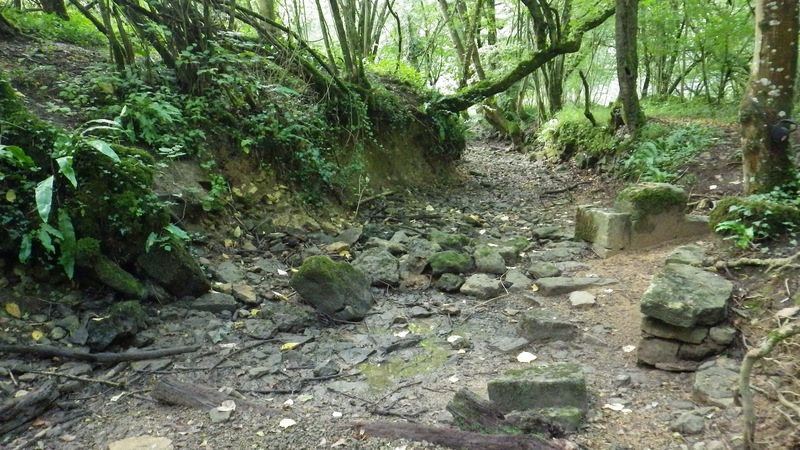 Parts of the River Frome in Gloucestershire have dried out completely in the last couple of weeks. We’ve had a few reports from people concerned about what’s caused it and whether it will return to its former glory. Here are some answers. 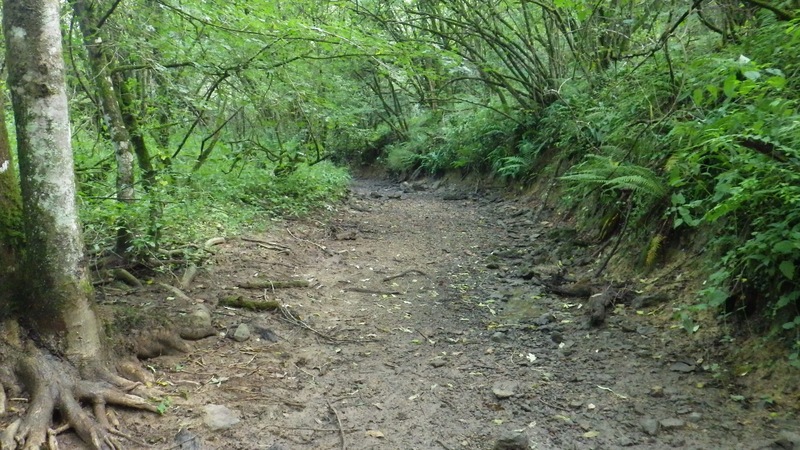 Not all of the river is affected, but a fair stretch to the east of Stroud, in the Frampton Mansell area is now completely dry. The drying out is a completely natural phenomenon. It happens most years, and is the result of the local geology. 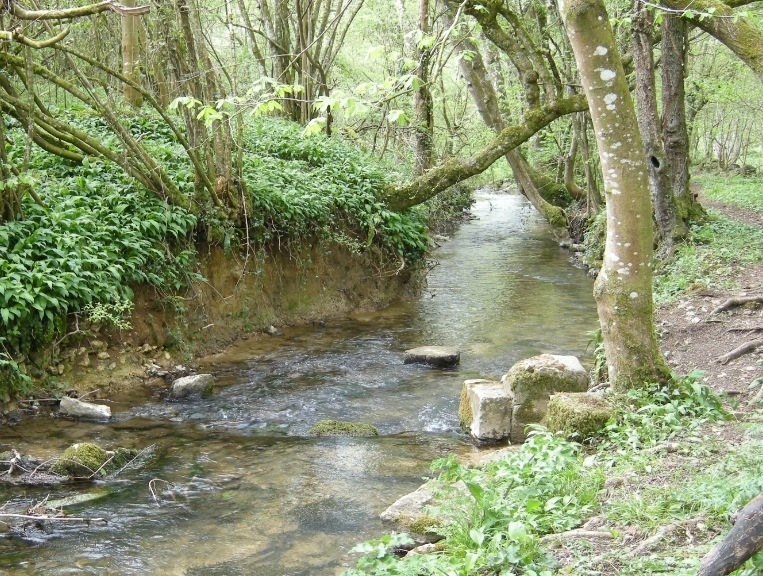 The River Frome flows over highly permeable (porous) rock formations such as limestone and sandstones which also make up the principal aquifers in the Stroud area. Aquifers are underground water reserves, bound up within rock formations. Also, in its upper reaches, the River is mainly groundwater fed. As the groundwater table declines in dry periods below the bed of the river it experiences the drying out episodes which we are seeing now. Any flowing water is now beneath the surface! Extensive faulting (cracks and gaps in the rocks) in the area also locally contributes to losses of river water into the underlying bedrock via these features. When we get some rain the groundwater level will rise back to the surface and the River will reappear. Because the process happens quite slowly fish and insects tend to naturally move away from the drying area and then return once flows return.